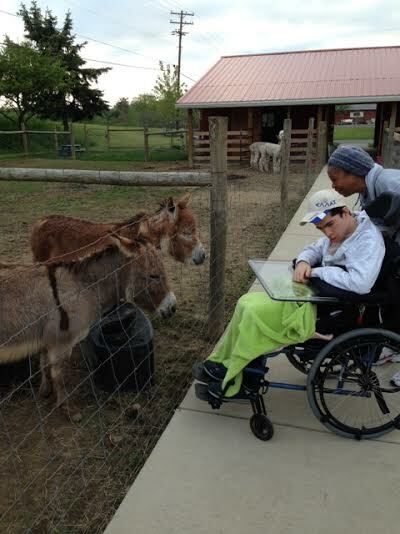 ISLE client, Nick E., visited the farm on May 23 and kept, Blaze, and his son, Ray (affectionally known as, Sugar Ray) company. The temperate weather lended to many visits for people this weekend. Nick is accompanied by his friend, ISLE staff member, Phyllis Wallace.